A Nationwide election coverage of the Aliw Media Group , gives you a comprehensive coverage that supports COMELEC’s call for an honest, orderly and clean election. 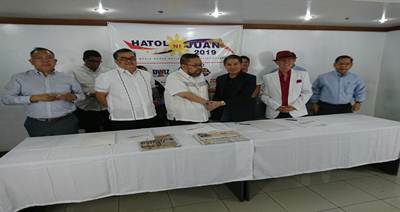 Hatol ni Juan 2019 delivers timely, accurate and truthful information to combat fake news before, during and after elections. 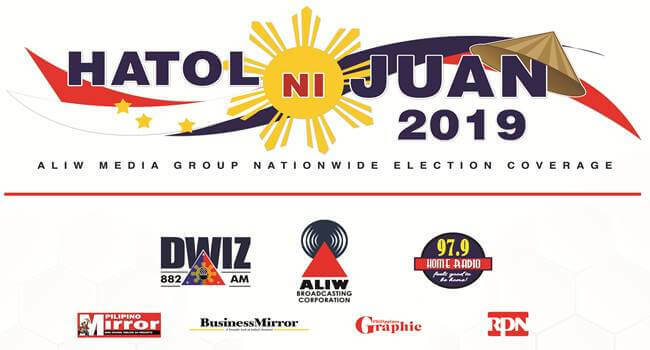 Hatol ni Juan 2019 is brought to you by : DWIZ 882 and 979 HOME RADIO with its provincial stations, BUSINESS MIRROR, PILIPINO MIRROR, PHILIPPINES GRAPHIC and in Cooperation with RPN (Radio Philippines Network).